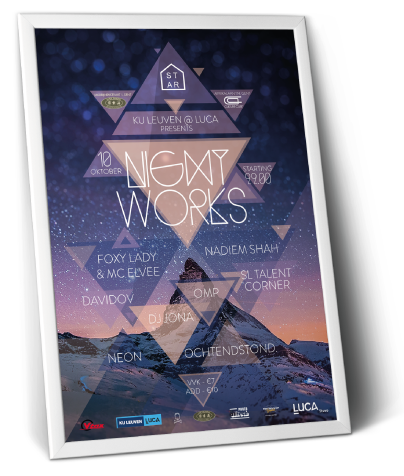 Poster design for the first edition of Night Works @ Culture Club Ghent organized by the students of Luca Architecture Ghent. 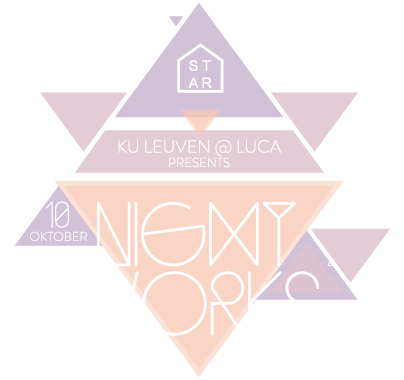 NIGTHWORKS is an event coming forth of the creative minds of a bunch of studentcouncil members from LUCA School of Arts (Ghent | Belgium). This is a yearly recurring party in the beginning of the academic year to celebrate life as a student.